Looking for your first graduate job in property once you have qualified can be a minefield. The property market is your oyster, but you should think carefully about how you want to start out in it. Your choices may be limited because of which degree you have studied, but because of the scope of the market, it is possible to adapt your degree to a number of careers. Being a graduate can work in your favour, as you will be able to try your hand in a number of sectors.Your first employer may want to test you out in a number of different roles to see which one you prefer. The main and most lucrative area of the property market is commercial property. Commercial property refers to any buildings that are used for business purposes, so anything ranging from a corner shop, to an office block in central London. Because commercial properties usually sell for a lot more money, then competition is a lot more fierce to get a job in the sector. A typical graduate job in commercial property may include, working for an agency, which would involve looking after the property and making sure it is sold or let for the maximum price. Another popular career area within property is the residential property market, this could again be anything from a large housing development to a single property. There are a wide range of jobs involved in the residential sectors such as valuation, development, offering investment advice, and marketing. This is quite specialist and will normally involve managing businesses that are usually in the countryside. You will also be expected to provide valuations for everyone from farmers to wealthy land owners. Within these sectors there are a wide range of potential jobs you can do. The most popular being agency work, which includes a bit of everything, such as advice on acquisitions,developing properties and consulting work. Fund management is also another popular career choice for graduates, but competition can be tough. Fund management involves investing money through property assets. Investment property involves advising clients on how best they should manage their property in terms of investment, and when is a good time to purchase and dispose of their property. Valuation is one of the most popular areas that graduates start off in. It involves valuing and pricing properties. This may sound straightforward, but you may have to value a property before it has been built, you will also need to analyse the market and have some legal expertise. The residential sector is probably the one that has the most opportunity for graduates. 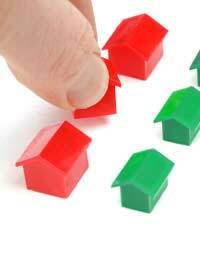 There is a vast array of specialist areas that you could move into, such as letting, valuations and management. However because there is not as much money involved in the residential property market, then it is not always a popular choice among new graduates in the property sector. When it comes to your first job after graduation, you should not limit yourself or commit yourself to just one sector, remember you are just starting out. If you are offered a job in a sector you did not necessarily want to go into, do not rule it out.